Visit CAMP's XLC Nanotech page. C.A.M.P. 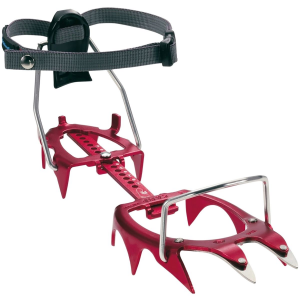 Alpine & Ice Climbing Xlc Nanotech Semi-Auto Red 254402. 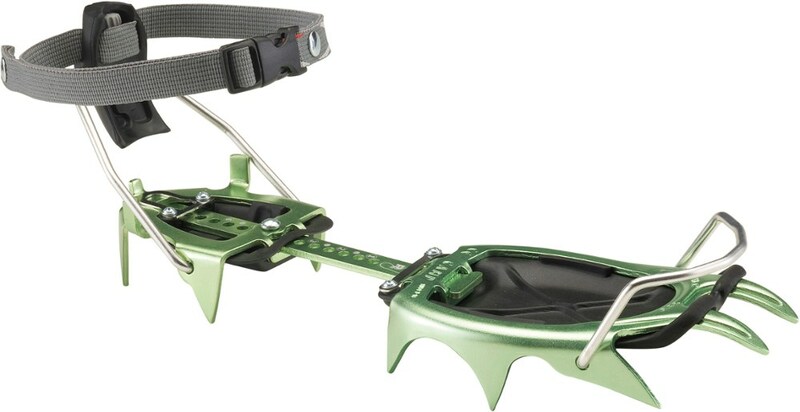 Camp USA's XLC Nanotech Crampon is a lightweight, aluminum crampon that weight-conscious ski mountaineers look for, but steel front points lend an edge when you encounter icy or even rocky objectives. 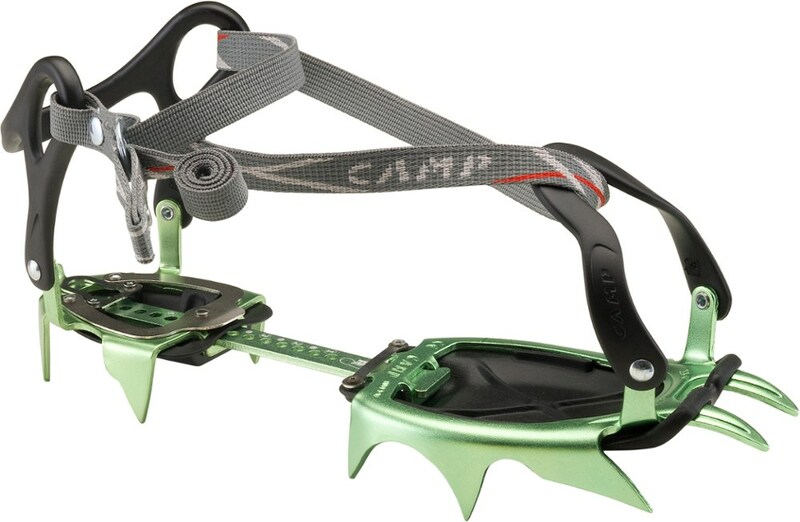 Aluminum points get shredded if you ever try to climb ice or rock, so Camp USA made the front points out of Sandvik Nanoflex stainless steel to solve that issue. 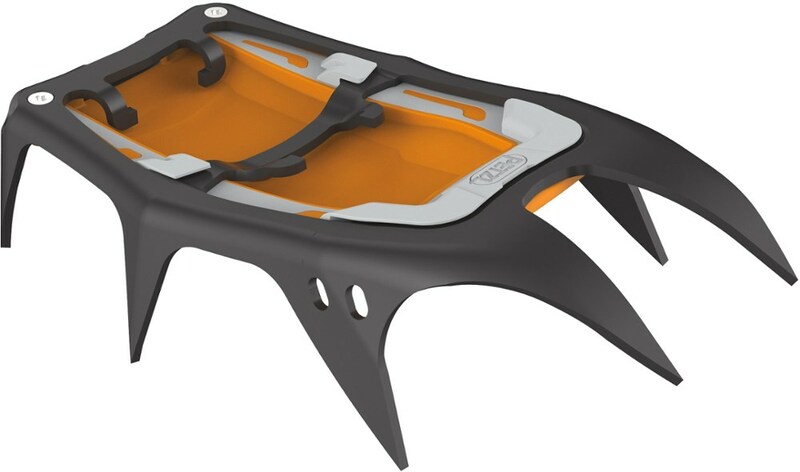 Camp's innovative 3D shaped construction (pressed, not bent) makes the aluminum frame sturdier than standard aluminum frames. 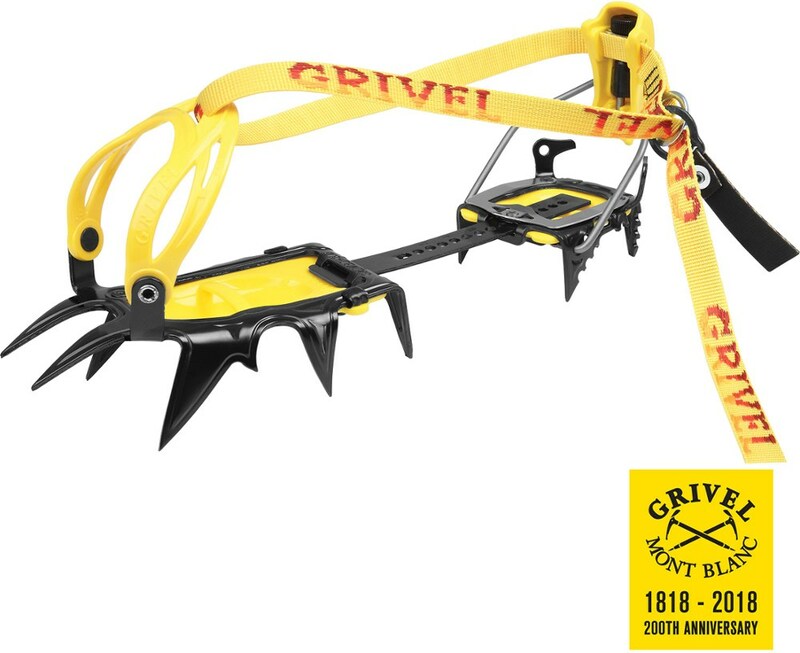 It's compatible with most alpine touring ski boots, telemark ski boots, and rigid mountaineering boots with toe and heel welts. 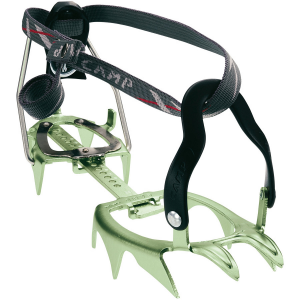 The XLC Nanotech Automatic Crampons by CAMP USA use lightweight materials with the addition of innovative Sandvik Nanoflex steel reinforcements on the front points for increased durability, strength, and penetration in hard ice. 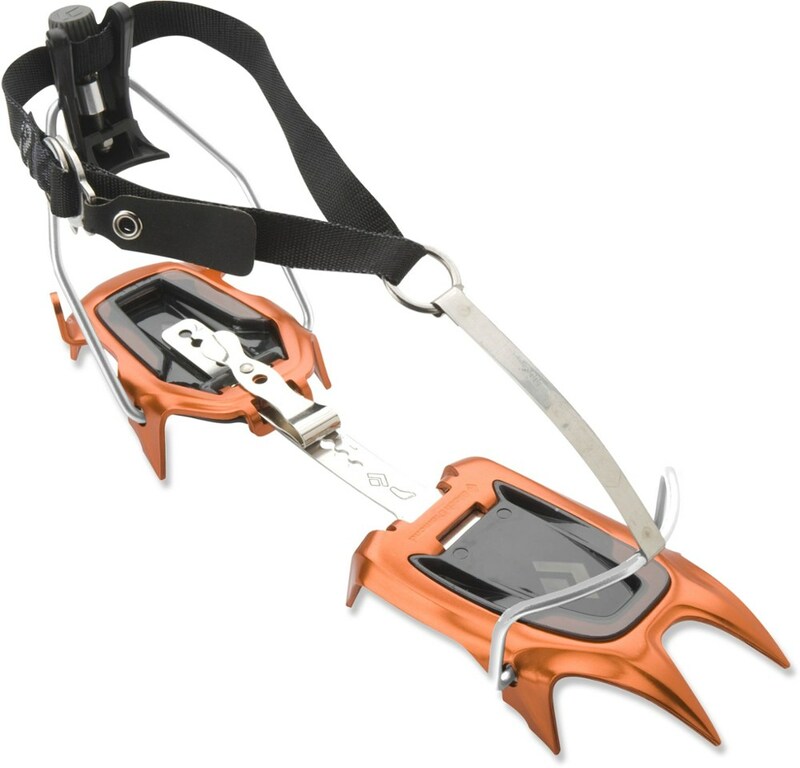 Automatic bindings offer the most secure fit for stiff boots with full toe and heel welts, including all A/T and telemark boots. If wearing overboots, the semi-auto binding is recommended.